The Design Museum is now open entries for Designers in Residence 2017. The Design Museum is now open for entries for its 2017 Designer in Residence programme. Four residency places are up for grabs, giving budding designers a unique opportunity to work on a project in response to a certain theme. The residency scheme aims to promote new and emerging talent, and is aimed towards designers who have graduated from Higher Education within the last five years and who have been working in the design practice for at least a year. Successful residents will be offered a bursary and commissioning budget, as well as getting production costs covered. This year's theme is 'support', with the Design Museum looking for "designers who demonstrate originality, be it through technology or an innovative approach to practice, through new ways of thinking, doing and making." 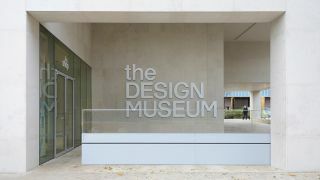 To be in with a chance of becoming a resident, head over to the Design Museum application page and complete all the necessary forms before 9am on Monday 6 February 2017. Good luck!